Microdermabrasion is a clinical treatment that works to remove dead skin particles. In addition, it is excellent for treating sun damage, enlarged pores, acne scars, fine lines and wrinkles. A series of microdermabrasion treatments will produce remarkable results. 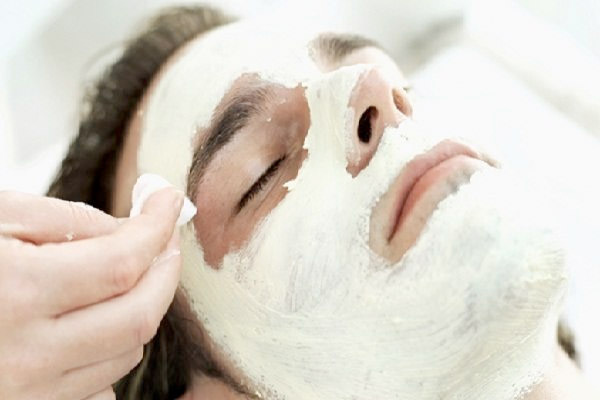 This treatment only includes cleansing, gentle pore cleaning and a mask based on your skin type. There is no therapeutic massage included in this treatment. This treatment includes cleaning, polishing, therapeutic massage, gentle pore cleaning, extraction and a mask based on your skin type. In this natural treatment the cleansing and hydrating steps of the Paradise Facial are adjusted to the special needs of your sensitive skin. It also includes a 10 min hand massage while a mask is applied to your face. This treatment is specialized for all skin types, nourishing, hydrating and it refines fine lines and wrinkles. This treatment helps to reduce your acne with our special products. This treatment has collagen. alginate, ginseng, spirulina, vitamin C to act in synergy to lift , tonify and brighten the skin. Ginseng contains ginsenosides which assist in the renewal process of skin cells. Spirulina, a microscopic blue seaweed is very rich in amino acids and vitamins A and E help cellular renewal. Vitamin C stimulates the synthesis of collagen facilitating the resistance and health of all tissues to contribute to elasticity and cellular renewal.